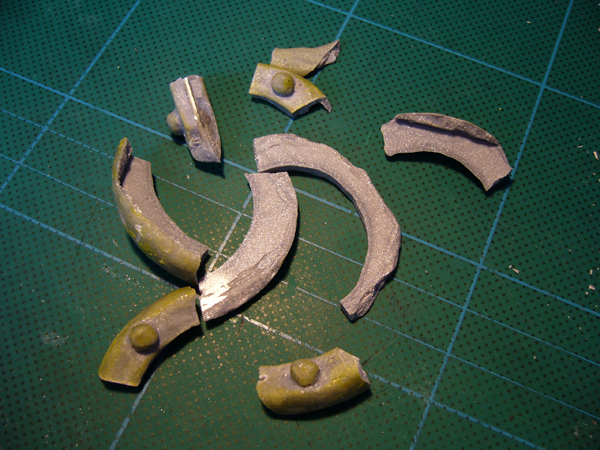 I think the guilt was getting a bit depressing so here’s a post about joy. I’ve been forgetting to take my photos. It’s a bit hard to stop and photograph whilst you are in the flow sometimes!! 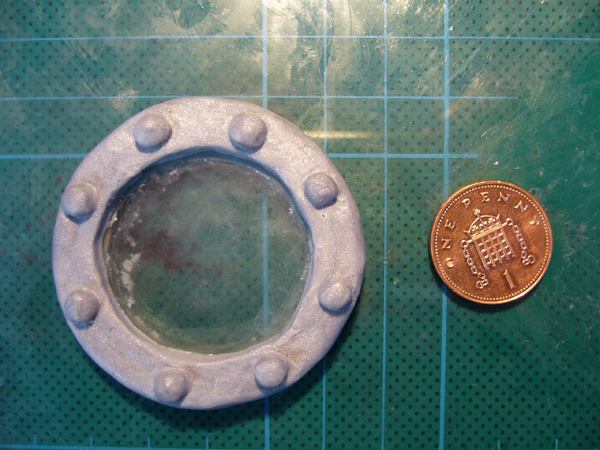 I decided to try wireform for the base of this one, as I saw it in the college shop and thought it would work well, which it did (bloody hot coming out of the oven though, of course. Had to do the ‘hopping round the kitchen with a hot thing’ dance). 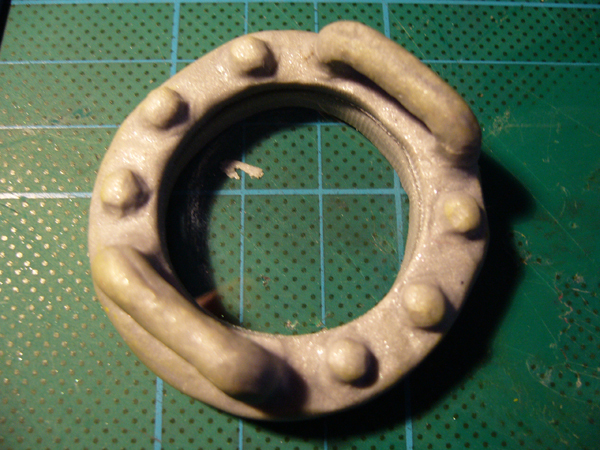 I used a Fimo I didn’t like the colour of for the first layer. 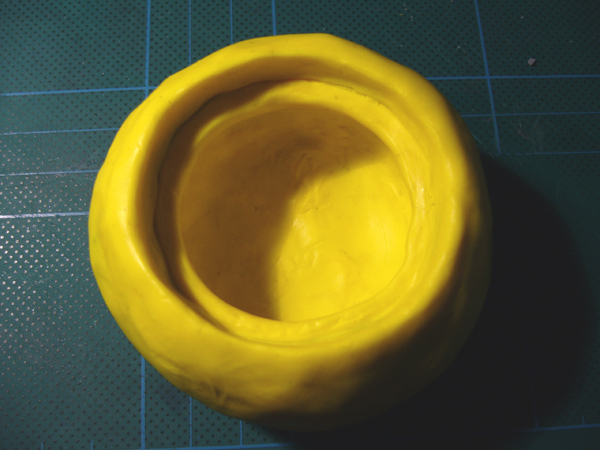 Then I baked it before adding the final yellow coat. 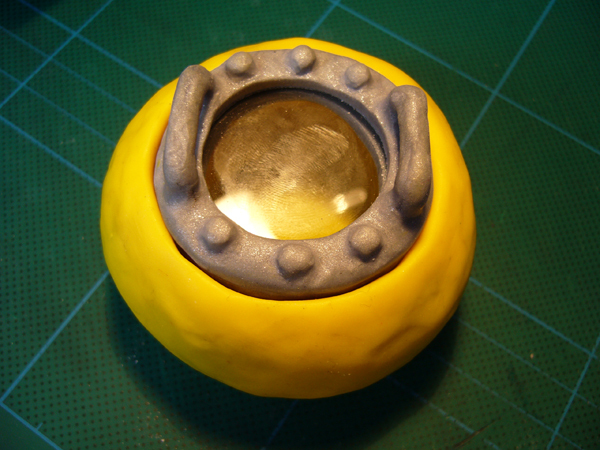 I found that it was quite difficult to keep the yellow fimo clean (on account of me being such a scruffy, dirty urchin). 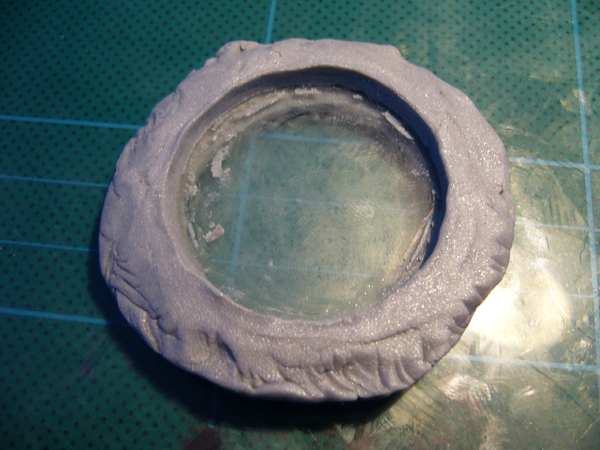 I had to make a second porthole as the first one had no handles to be able to pull it off (d’oh!). 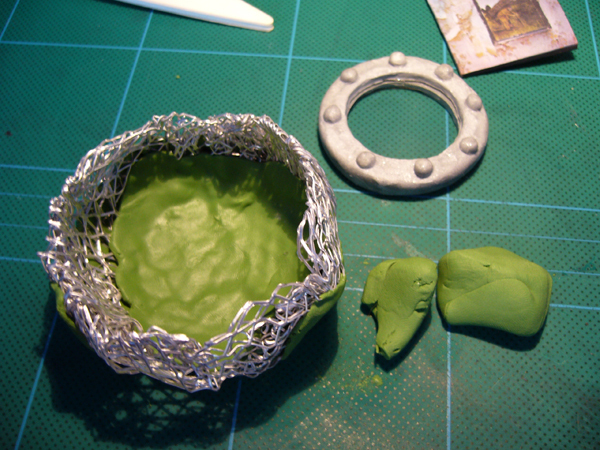 I did try to retrospectively fit handles after baking but the Sculpey broke when I tried to make a hole in it with a dental pick. 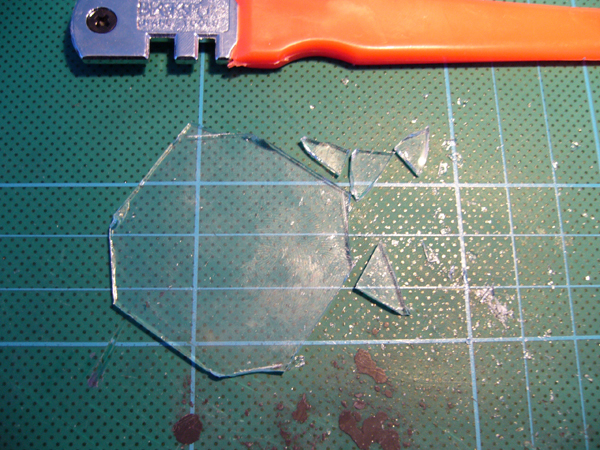 Pic 4 – First porthole in pieces, broken further so I could reuse the glass. « Update, now where was I?